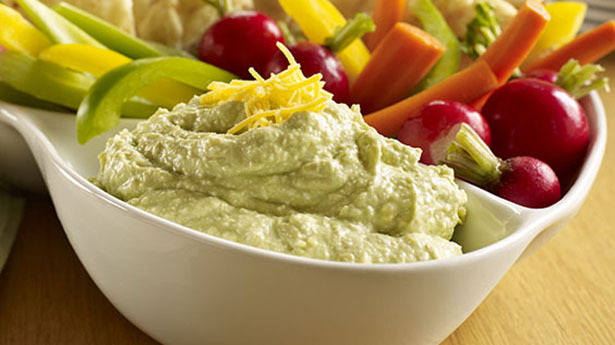 Rich guacamole blended with puréed cottage cheese and Cheddar cheese. Purée cottage cheese until smooth in food processor. In a small bowl combine avocado, red onion, cilantro, lime juice, salt, cumin, coriander and garlic powder; mash with a fork until chunky. Stir together cottage cheese, guacamole mixture and Cheddar, reserving some Cheddar to use as garnish.